Born and raised in Opa-Locka, Natural has displayed undeniable talent at a young age. During her adolescence she displayed impeccable expertise in different styles of dancing such as African, tap, jazz, and ballet. Natural's drive for dancing soon blossomed into an undeniable love for music. Some of her musical influences are Tupac, Lauren Hill, Outkast and Missy Elliott. Music became essential to her life as she began spitting freestyles and writing rhymes in her free time. The streets started listening and she eventually got in the studio and recorded her first song. After seeing her potential, and how distinctive her sound is from what was already out there, she knew she was on to something. Natural's passion for music fueled her to get on her grind. At any given day or time, rain or shine she would be on the busy streets of Miami selling her mixtapes. From flea market to flea market, car to car she stayed determined to be heard. Soon after she was awarded the opportunity to work with producers such as Gorilla Tek, Bigg D, Cool & Dre, and amongst many others. All of her hard work eventually paid off, Natural then got the love from the streets and was accepted as one of the elite artists out of Miami. 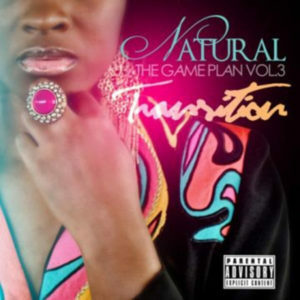 She was quickly named, "The Hybrid" due to her phenomenal singing and rapping capabilitie s.
Natural then released her 3rd mixtape, "THE GAME PLAN Vol. 3: THE TRANSITION, which broke in the hip hop streets of Miami and showed a newly developed singing side of her. Currently she is working on a new project, "Natural Disaster," an EP which is set to be released early 2018, and is ready to take the urban Rap and R&B market by storm. She has since released 3 singles, "I'm Tore Up", "Down Down" and the newest "Welcome To My City." I'm tore up has a video for it on worldstar hip hop as well as YouTube https://youtu.be/qm4cPelTXjI . Natural is a triple threat artist that will make a big impact in the music industry. Stay tuned, new music coming soon, look out for her.